This is Team 174’s 2014 Drive Train, or rather one half of the drive train. This is a photo of the completed steering assembly. 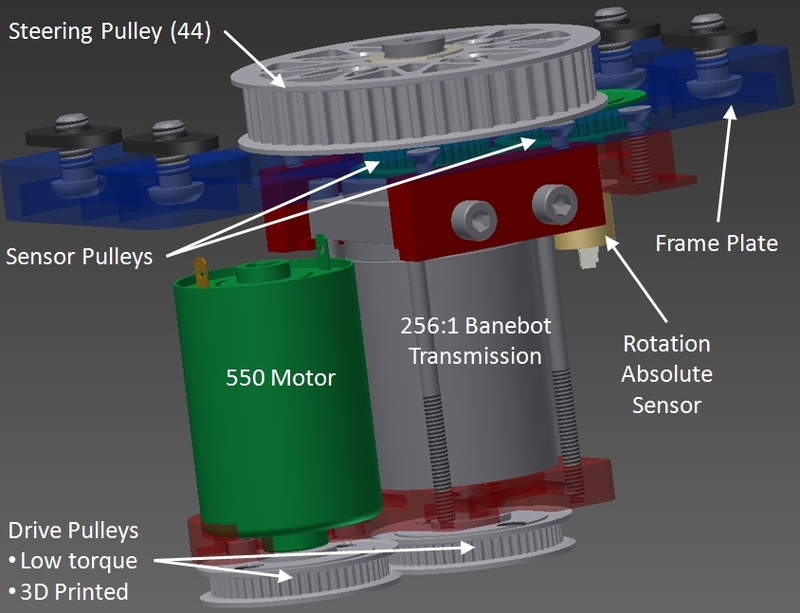 Note how we used 3-D printed pulleys but used the manufacturers original gears, pressed into the pulleys, to drive the pulleys. By using these gears the force on the plactic is reduced by the increase in diameter and the teeth distribute the force into the plastic. 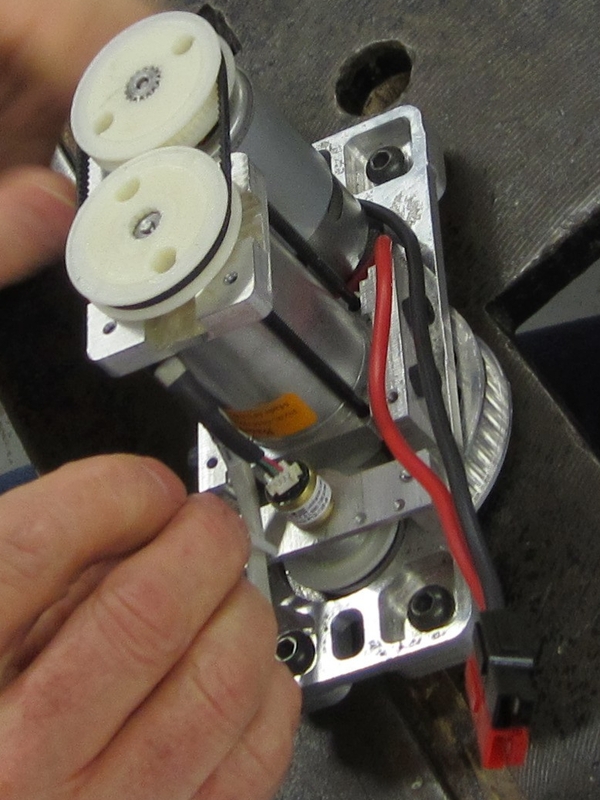 As a test we ran the 256:1 transmission and motor into a solid object to ensure the 3-D pulleys would hold up. They never noticed.